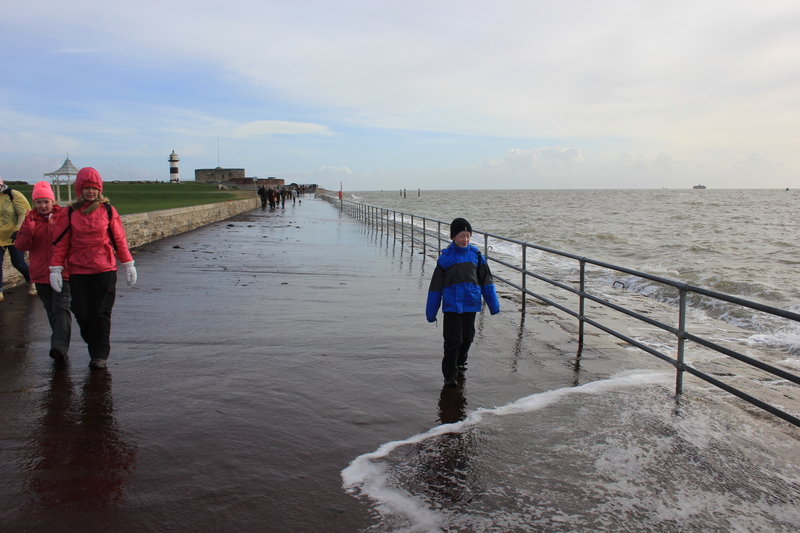 It was a little blustery in Southsea as we walked towards Southsea Castle: exactly the sort of weather that keeps my son interested! If he comes back from a walk with wet boots he’s had an acceptable time. If his socks are also wet he’s had a mildly interesting time. If the bottom of his trousers are wet he’s had enjoyable time. If he’s soaked from head to toe and his father is annoyed because it means the extra moisture is going to mist his car up for the next six months – well, then it is safe to say that Ben has had a very fine walk indeed. The sea tried to give Ben what he wanted, but it just wasn’t quite up to it today. I was somewhat grateful. As was my car. Southsea Castle was built in 1544, one of Henry VII’s many fortifications around the south coast that was designed to protect England from invaders after he broke with the papacy. 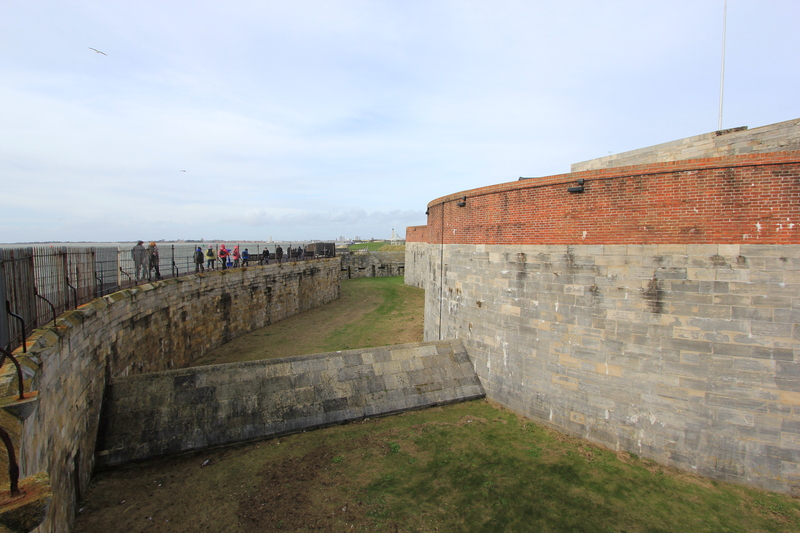 His plans at Southsea were well conceived, for shortly after the completion of Southsea Castle the French invaded. On 16 July 1545 they entered The Solent with the aim of landing troops on English soil. Their 128 ships were opposed by 80 English vessels which took up defensive positions in Portsmouth Harbour. After some cannon exchange it was on 18 or 19 May 1545 that the Mary Rose sank, right in front of Southsea Castle. There are conflicting accounts as to what exactly happened – nobody seems to know for sure. Whatever happened to the Mary Rose, however, hundreds of sailors drowned; there were only 25 survivors. The French failed to land their troops. 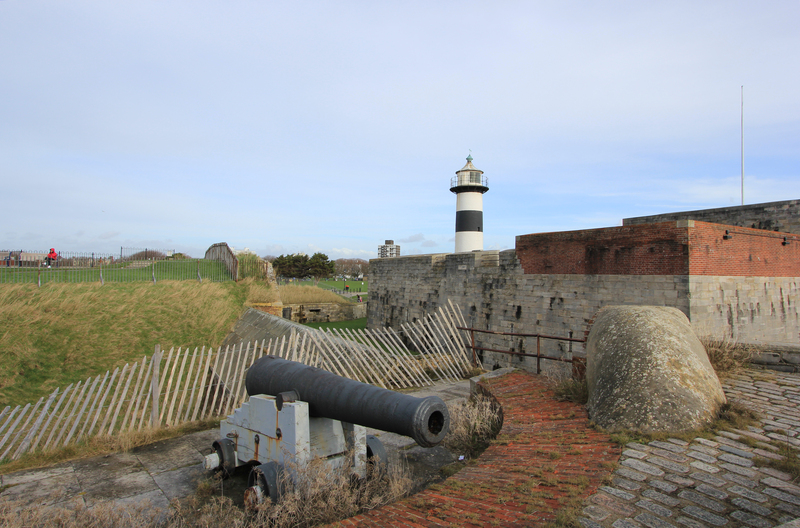 Southsea castle was, however, captured some 100 years or so later, when Parliamentarian forces took it during the Civil War. Today it boasts a lighthouse, constructed in the 1820’s and still in use. 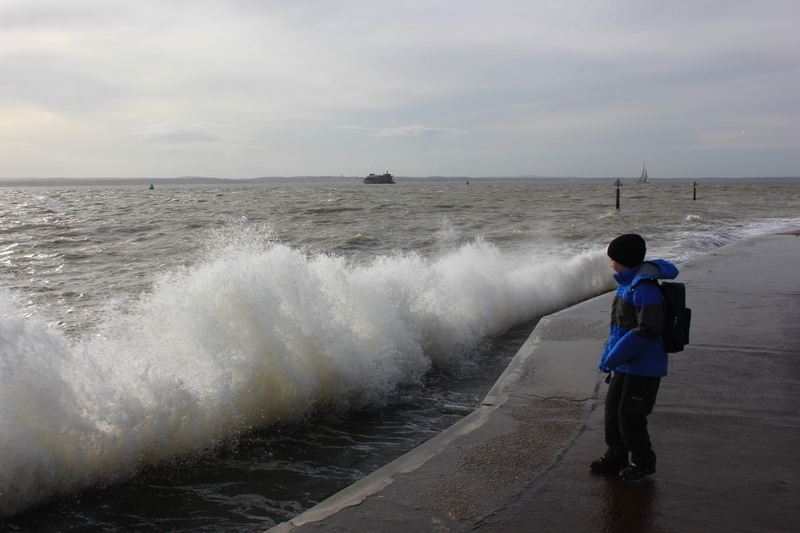 As we left Southsea Castle the sea tried its best to appease Ben, but Ben was not impressed with its efforts. This entry was posted in Hampshire, Islands and tagged coast, Hampshire, Mary Rose, southsea, Southsea Castle, travel, walking. Bookmark the permalink.